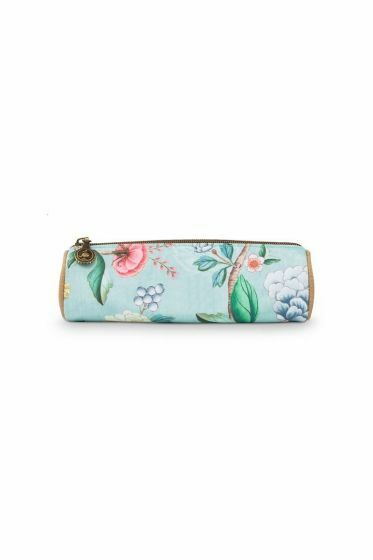 The beautiful botanical flower print on this blue make-up pouch is inspired by traditional Oriental wall paintings. Made of water-repellent satin that is trimmed with faux leather piping. The enamel Pip logo is the finishing touch.